The Islamic Society of Greater Worcester is seeking town approval to develop a Muslim cemetery on 55 acres it plans to purchase in Dudley, Massachusetts. The group seeks a local option where their burial customs could be followed, which sometimes include ‘green’ burial options, direct contact with the dead, very specific positioning of the body according to their religious tradition and beliefs, and dignified behavior at the burial. At a recent public hearing, many residents voiced pointed opposition to the plan. Among the concerns were those of the possible effect on the local water table, traffic, noise, and vandalism. There were additional remarks made, however, which clearly showed emotional reactions and which transcended more straightforward issues. Most present at the recent Zoning Board of Appeals public hearing might say there’s no hope of ever reaching resolution of this situation. What are mediators? Mediators are skilled negotiators who assist those on opposing sides of an issue work toward agreement. Mediation has been a system of resolution for thousands of years and is practiced across the world in different cultures. As objective and unbiased neutrals, Mediators bring reasoning to situations where emotions and complex issues have often taken over productive discussion. Mediators have many different tools they employ, based on the conflicts and the parties involved. In general, they work to determine the genuine, underlying issues. They identify and dismantle false beliefs. They provide support for the parties to form new opinions based on facts. And they guide negotiations to determine the ways in which everyone’s needs can be met. Peacefully. The beauty of mediation is that the parties retain all of the power, and are never made to accept methods of resolution that that decision-makers are not in agreement with. And the rate of settlement in approaching even the most complex problems in this manner is very, very high. 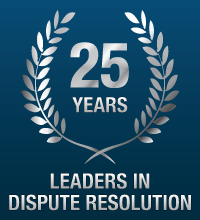 At MDRS, we’ve been helping people resolve disputes for 25 years. As leaders in the law, we find nothing as rewarding as helping our clients attain better end-results than they ever thought possible. If you are involved in a conflict and would like to speak with us further, please call (800) 536-5520 or visit us at www.mdrs.com. by Michael A. Zeytoonian, Esq. I think it’s a good idea for people who find themselves in a dispute to do some cross-examining before they file a lawsuit. Sounds odd, right? After all, based on what we know about litigation and how the legal process works from what we see on TV and in the movies, cross-examination is the high point of the lawsuit; it’s what everything builds up to, right? Matthew McConaughey in A Time to Kill: “Imagine the girl is white.” Atticus Finch in To Kill a Mockingbird. You can probably name ten more great TV scenes and riveting cross-examinations. Real life court cases are not that way. First, less than 4% of the cases that get filed in court ever get to trial. Yes, you read that right. It happens rarely, and when it does, it is are not the stuff Hollywood is made of. So back to my opening suggestion: Do some “cross-examining” of the case before deciding to file a lawsuit or hire a scorched earth litigator. Let’s move the spotlight around from just one place where your supposed “smoking gun” evidence is. Let’s examine behind the obvious and the positional statements, and peer into the corners of the other considerations about this case of ours. Test our assumptions, our biases and our maybe overconfidence about our “slam-dunk” case. Let’s ask a few more “why” questions before we start. “I want to sue the other side,” you tell the lawyer you interview. You feel good hearing that. Pumped up. Yeah, baby; that’s what I’m talking about. You get your emotional high. Unfortunately, that high you’re feeling is very short-lived. But you really haven’t had your dispute and your situation cross-examined to truly know what is ahead or what your options are. That was barely sufficient questioning to sign you up as a client. But not nearly enough to set you and your case up right. The lawyer didn’t even ask you what your desired goal was, or what you would consider to be a good outcome! Now here’s what I’m talking about. A reality check. A cross-examination of the client about what she really wants, the interests underneath the position, her emotional bandwidth, pragmatic needs and level of risk aversion. I’m reading another wonderful book by Dan and Chip Heath called Decisive. It cautions us against “the four villains of decision making”: Narrow framing, confirmation bias, short-term emotion and overconfidence. Essentially, the Heath brothers tell us with a great collection of story-telling and examples that we make poor decisions because one or more of these factors is at play in our decision-making process, and explain how to avoid them. Decisive, like their other books, Made to Stick and Switch, is a must read. It is up to one’s lawyer, as a trusted advisor, especially if that lawyer is a person’s “Primary Care Lawyer (PCL)”, to cross-examine the client before deciding what course of action to take. Here are some recommended inquiries for you as a client to hear your lawyer ask you, before you sign on with the lawyer and absolutely before you choose a dispute resolution process. If your lawyer is not “cross examining” you with these before you start working together, think hard about getting a second opinion or interviewing more lawyers! What is your goal here? What would a good outcome for you look like? What does getting your day in court mean to you? What do you hope to get out of it? Have you considered other ways of accomplishing your goals besides litigating? What is your time frame for when you need to have this dispute resolved? What is the skeleton in your closet that I need to know now so I’m not blind-sided later? What is your level of risk aversion? Put it this way: A jury could decide this case the other way and you’d get nothing after spending several years and several tens of thousands of dollars on this litigation. How does that sit with you? Do you want to control the outcome? Or would you prefer to leave the decision-making about your case to a jury of people you don’t know? Or an arbitrator who is probably very knowledgeable in the subject matter and applicable law in this case? Can you negotiate or collaborate with the other side with some professional assistance from negotiation-style lawyers and/or a mediator? Are there other parties and other considerations that we can include in our assessment of this dispute that will help us expand the pie of possible options for settlement? How important is it to maintain a healthy (business, civic, organizational or family) relationship with the other party(ies)? How important is confidentiality to the parties in this case? This inquiry lays a solid foundation for going forward in a way that will achieve the best outcome. This cross-examination, done before you start, is likely far more valuable than the Hollywood one that will almost certainly never happen. Michael Zeytoonian is a member of the MDRS Panel of Neutrals, and is the Founding Member of Dispute Settlement Counsel. As MDRS celebrates 25 years of providing Dispute Resolution, we reflect on no less than a quarter of a century in our field — a field which has thrived beyond all expectations: no longer a mere alternative to the courts, but widely recognized as a more direct route to positive outcomes for all kinds of disputes. It can be argued that in the past 25 years, no area of legal practice has grown to have a wider impact on the practice of law than the cumulative forms of Dispute Resolution. Over 97% of all cases presented now reach settlement without trial, such that Dispute Resolution has moved into its rightful position — and away from being referred to as the ‘alternative’ resource. With fewer constraints than a courtroom, proven convenience and cost savings, and happier clients in the end, ‘DR’ continues to expand with new tools and techniques, and an ever-widening pool of practitioners. One need only look back to our individual and collective experiences of bringing the practice into the mainstream, to see how much the reception of DR has changed, even as the basic principles have stayed relevant and enduring. We recently dug out a clipping of an article featuring our founder Brian R. Jerome, an early adopter of what was, in those early days, an oft-criticized method of resolving conflicts. Reference to “the costly and painfully slow court process” seem familiar and timely, but it’s a quote from The Beverly Times article, dated August 8th 1995, when DR was still a revelation for many accustomed to seeing litigation as the only option. And yet, in 1995, the State Supreme Judicial Court had only recently set up a committee to phase in dispute resolution. Of course with this progressive expansion and growth come increased responsibility. Serving this year as the Chair of the Massachusetts Bar Association’s DR Committee has given our founder Brian Jerome an opportunity to bring even more to the field he has dedicated his career to. It’s a pleasure to be able to announce that the Dispute Resolution Committee is moving forward with a new voice and refreshed objectives. We anticipate sharing with you, our clients and friends, many new and exciting opportunities in connection with this dedicated group in the coming months, not to mention many more months and years of exciting developments in our field – not only for MDRS, but for great numbers of our esteemed colleagues who practice Dispute Resolution and continue to advocate for peaceful, efficient, and cost-effective resolutions of conflict. We at MDRS want to acknowledge that this milestone would not have been possible were it not for you, our treasured clients and friends. We thank you, appreciate you, and look forward to continuing our work with you in the future. The Superior Court invites comments on a set of proposed initiatives, as described below, designed to make civil litigation more just, speedy, and inexpensive. These proposals would make significant changes in the conduct of civil litigation in the Superior Court. Comments should be sent by email to maria.pena@jud.state.ma.us or by regular mail to The Superior Court Working Group on Civil Litigation Options, c/o Maria I. Peña, Superior Court Administrative Office, 13th Floor, Three Pemberton Square, Boston, MA, 02108, on or before March 4, 2016. Menu of Options- Right to Individual Case Management and Tracking. A “menu” of options that would take the form of an individual case tracking order, at the option of the parties and with the approval of the Court. The parties would have the opportunity to agree to vary standard procedures in one or more ways, including the procedures that otherwise govern discovery, trial, and post-trial events. For example, the parties may agree to an early and firm trial date, with or without a jury, and with a variety of limits on the quantity and kind of evidence. Parties would seek an individual tracking order by filing a Motion for Case-Specific Management, which would be authorized by changes to Superior Court Standing Order 1-88 and a proposed new Superior Court Rule 20. Pilot Program for Early Case Management Conferences for Qualifying Cases. A pilot program for early case management conferences in four case categories: real estate, construction, products liability, and employment discrimination. The proposed pilot program would provide an opportunity to assess the value of early case management conferences and the time required to conduct them. In each case included in the program, the Court would convene a conference with the judge and counsel within 90 days after service of process. Prior to the conference, the parties would be required to confer, to exchange written settlement proposals and responses, and to complete a standard form addressing case management. An amendment to Superior Court Standing Order 1-88 would establish procedures for the conferences, and provide the form for the parties to prepare and submit. In addition, to facilitate conducting the conference early in the life of the case, as provided in the proposed amendment to the standing order, the Superior Court would recommend that the Supreme Judicial Court amend Rule 4(j) of the Massachusetts Rules of Civil Procedure to reduce the time limit for service of process from the present 90 days to 30 days, or to provide for a more expeditious alternative similar to the process now used in federal court, where service is required only when a defendant fails to respond to notice by mail. New Superior Court Rule on Expert Disclosure. As is already required by the court’s “Notice to Appear for Final Pre-Trial Conference” in Superior Court Standing Order 1-88, the new rule would require that unless the parties agree, or the court orders otherwise, each party shall set forth certain information in the final pre-trial conference memorandum relating to any expert that a party intends to call at trial. Cutler Associates, Inc. v. Palace Construction, LLC, et al. (13 pages) (Hillman, J.) (USDC) (Civil Action No. 15-40021-TSH) (Sept. 22, 2015). The issue presented in this case is whether an arbitration panel who applied the commercial arbitration rules of the American Arbitration Association and who found that the arbitration agreement did not authorize an award of attorney’s fees, nonetheless may award attorney’s fees based on its finding that ‘substantially all of the defenses were wholly insubstantial, frivolous and not advanced in good faith.’ Where the arbitration panel ordered a condominium trust to pay counsel fees to the owner of two units, the SJC ruled that the fee award was correctly vacated in Superior Court because the parties did not authorize any such award. The Court noted that no provision of the parties’ agreement authorized the award of attorney’s fees. In a case where a plaintiff college alleged that the defendant accounting firm committed malpractice when it failed to detect serious financial irregularities that occurred in the college’s financial aid office during fiscal years 1998 through 2004, the plaintiff’s claims are not subject to an arbitration clause in the parties’ 2005 agreement. None of the annual agreements from 1998 through 2004, referred to by the parties as ‘engagement letters,’ makes any mention of arbitration as an available (much less mandatory) means for the parties to resolve disputes that might arise between them. In DIRECTV v. Imburgia, decided on Dec. 14, 2015 the U.S. Supreme Court again dealt with a California court’s refusal to enforce a class arbitration waiver contained in a consumer form agreement falling under the Federal Arbitration Act. Plaintiffs were customers of DIRECTV who in 2007 signed a customer service agreement with DIRECTV that included a mandatory arbitration clause and a class arbitration waiver. The plaintiffs subsequently sued DIRECTV alleging that their imposition of early termination fees violated California law. DIRECTV moved to compel arbitration, but the California Court of Appeal denied the motion, and the California Supreme Court denied discretionary review. The lower court based its decision on its interpretation of language in the 2007 agreement stating that if “the law of your state” invalidated the class arbitration waiver, then the entire arbitration agreement would be unenforceable. In 2011 however when the Supreme Court decided AT&T Mobility LLC v. Concepcion, 563 U.S. 333 (2011) holding that the FAA preempts state laws that invalidate a class arbitration waiver contained in an otherwise valid arbitration agreement. After Concepcion, then, “the law of your state” has no effect on the enforcement of a class action waiver. Therefore, the disputed “law of your state” language in the 2007 agreement is now a meaningless artifact from the pre-Concepcion era. Nevertheless, the California Court of Appeal in DIRECTV interpreted “the law of your state” in the 2007 agreement to include the very California law hostile to class arbitration waivers that Concepcion subsequently declared to be invalid under the FAA. Therefore, the lower court struck the class waiver under invalid, pre-Concepcion California law. The court also applied the contract’s jettison clause and refused to enforce the entire arbitration agreement. In a majority opinion written by Justice Stephen G. Breyer, the court held that the FAA preempts the lower court’s interpretation of the agreement. That means that a reference to “the law of your state” in any pre-Concepcion agreement evolves with the times and reflects any subsequent changes made by a state legislature, a state supreme court, or, as in this case, a decision of the Supreme Court on the supremacy of federal law over state law. In short, the FAA preempts the lower court’s departure from general California contract law when it presumed that “the law of your state” referred to California law that was declared invalid in Concepcion. An arbitrator did not exceed his authority when he applied out-of-state law to award treble damages to a husband and wife who claimed they lost millions due to the fraud and gross negligence of their investment advisor, a Superior Court judge has ruled in upholding the $48 million award. The plaintiff argued that the award of treble damages under Pennsylvania unfair trade practices and consumer protection statutes contravened choice of law and limitation of liability clauses in its client agreement. Judge Edward P. Leibensperger found no reason to disturb the arbitrator’s award. In addition to the arbitration clause, the parties’ agreement provided that it would be governed and construed by the laws of Massachusetts. Yet in his choice of law analysis on the issue of damages, the arbitrator concluded that Pennsylvania law applied because FEP and Weiss were registered as investment advisors in that state. Accordingly, the arbitrator applied the Pennsylvania Securities Act and the Pennsylvania Unfair Trade Practice and Consumer Protection Law to award the Sutows treble damages. Judge Leibensperger concluded that the arbitrator did not exceed his powers by awarding treble damages under Pennsylvania law, finding that the parties’ arbitration clause was “much broader” than their choice of law provision. Family Endowment Partners, L.P., et al. v. Sutow, et al. (9 pages) (Leibensperger, J.) (Suffolk Superior Court) (Civil Action No. 2015 CV 1411-BLS1) (Nov. 16, 2015). Where a defendant employer has moved to compel arbitration of an employee’s claims of wrongful termination and retaliation, the motion must be allowed based on arbitration clauses in the employment application and offer letter signed by the plaintiff. In the Employment Application, the parties agreed ‘to resolve any claims or disputes arising out of or relating to [Hagerty’s] application for employment or, if hired, [his] employment with or termination from Cyberonics exclusively by final and binding arbitration before a neutral arbitrator under the then current rules of the American Arbitration Association.’. In the Offer Letter, the parties agreed that in ‘the event of a dispute concerning this employment offer or [Hagerty’s] employment relationship with Cyberonics, [Hagerty] and Cyberonics agree to submit the matter to binding arbitration under the then current rules of the American Arbitration Association.’ (Magee Decl. Ex. 2) (emphasis added). “The ‘arising out of or relating to’ and ‘concerning’ provisions indicate an intent to arbitrate a broad scope of claims. … The arbitration clauses state that they specifically apply to ‘employment,’ ‘termination,’ and ‘employment relationship. … Therefore, in light of the ‘presumption of arbitrability’ and the federal policy favoring arbitration, Hagerty’s wrongful-termination claims are subject to arbitration, no matter whether the relevant agreement is the Employment Application, the Offer Letter, or both. “However, the court in Warfield incorrectly ‘appl[ied] general principles of State contract law to determine whether a particular agreement requires arbitration of a claim.’ … As previously stated, the question of ‘whether a particular dispute is within the class of those disputes governed by the arbitration clause .. is a matter of federal law.’ … In determining whether the particular dispute falls within a valid arbitration agreement’s scope, ‘“there is a presumption of arbitrability[:] an order to arbitrate the particular grievance should not be denied unless it may be said with positive assurance that the arbitration clause is not susceptible of an interpretation that covers the asserted dispute.”’ … Applying the Warfield ‘clear and unmistakable terms’ test would not ‘place [the arbitration agreement] upon the same footing as other contracts,’ … and would run afoul of the presumption of arbitrability whereby ‘any doubts concerning the scope of an arbitrable issue should be resolved in favor of arbitration.’ … Therefore, the Warfield ‘clear and unmistakable terms’ test does not apply here. United States ex rel. Hagerty v. Cyberonics, Inc. (20 pages) (Saylor, J.) (USDC) (Civil Action No. 13-10214-FDS) (Nov. 13, 2015). Where defendants have moved to compel arbitration pursuant to an operating agreement, the motion should be allowed despite the plaintiff’s claim that the defendants waived the right to enforce the arbitration provision in the agreement. “While it is a close call in this case, I find that CRIC Realty has not waived its right to demand arbitration of plaintiff’s claims. Rather than a plaintiff commencing an action in court and later changing his mind to seek arbitration (the scenario in many of the cases), here it is the defendants who are invoking arbitration in their responsive pleading. The length of time between CRIC Realty being served with this lawsuit (December 2014) and when it indicated that it wished to enforce arbitration (August 2015) is not unduly long, as compared to many of the cases addressing undue delay. While plaintiff claims prejudice because discovery, initiated by both sides, has started, such discovery would have occurred in the arbitration process if arbitration had been demanded earlier. There is no unfair prejudice to plaintiff as a result of discovery. “The countervailing consideration is that CRIC Realty invoked the jurisdiction of the court by filing a motion to dismiss plaintiff’s complaint. In fact, defendants filed their initial motion to dismiss in February 2015, and CRIC Realty did not raise the arbitration provision. That motion was not acted upon as plaintiff requested leave to file an amended complaint. CRIC Realty then filed a renewed motion to dismiss in which it argued for dismissal of claims on the merits but also noted the arbitration provision and its position that the claims should be sent to arbitration. Plaintiff arguably suffered some prejudice by having to respond substantively to defendants’ arguments in the motions to dismiss the claims on the merits. Harelick v. CRIC, LLC, et al. (Leibensperger, J.) (Superior Court) (Civil Action No. 2014-3930 BLS1) (Sept. 28, 2015). In a case where defendants have moved to compel arbitration under a voting trust agreement (VTA) formed along with the creation of a realty trust, the motion must be allowed despite the fact that the plaintiff never signed the VTA. “After a careful review of the complaint, its attachments, and the arguments set forth by the parties, this court concludes that Elizabeth’s claims in this action against the Brown Defendants and Adams must be submitted to binding arbitration before the American Arbitration Association under the arbitration provision contained in the VTA. Although Elizabeth is a nonsignatory to the VTA, she is (1) bound by the agreement of her trustee, Adams, to enter into the VTA, and (2) a third-party beneficiary of the VTA. … Adams’ signature, as trustee of [Elizabeth Brown Realty Trust (EBRT)], on the VTA bound Elizabeth as he was her agent or representative. Moreover, Elizabeth was a beneficiary of [Canal Realty Trust (CRT)] and, thus, derived the benefits of the VTA, which was created to ‘insure the continuity and stability of management’ of CRT and ‘to avoid a conflict … with regard to the management’ of CRT. Elizabeth continues to benefit from CRT today in the form of twenty percent of CRT’s income. Ambeliotis v. Brown, et al. (7 pages) (Leibensperger, J.) (Superior Court) (Civil Action No. 14-00855-BLS1) (Sept. 30, 2015). Where a defendant has moved to compel arbitration of a plaintiff’s minimum wage complaint, the motion must be denied because the issue of whether the parties’ dispute involving truck drivers is exempt from the scope of the Federal Arbitration Act is for the court, not an arbitrator, to decide. Oliveira v. New Prime, Inc. (21 pages) (Saris, C.J.) (USDC) (Civil Action No. 15-10603-PBS) (Oct. 26, 2015). Where a Superior Court judge confirmed an arbitration award in favor of a defendant and against the plaintiff minority shareholders, the arbitration award was not contrary to the law or public policy of Delaware. Paasch, et al. v. Ranoux (5 pages) (Appeals Court – Unpublished) (No. 14-P-1076) (Oct. 20, 2015). Where a plaintiff’s complaint seeking to compel arbitration of an uninsured motorist claim was dismissed, the dismissal order must be reversed despite the defendant insurance company’s claim of non-cooperation on the part of the plaintiff. “It is well-established that the plaintiff’s claim under chapters 176D and 93A is not within the scope of the policy’s arbitration clause. … The claim, however, may be litigated in court. Accordingly, while it was appropriate to dismiss so much of the complaint that sought to compel arbitration of the alleged violations of chapters 176D and 93A, dismissal should have been without prejudice to the filing of a new complaint, or the amendment of the present complaint, to assert the alleged violations in a civil action for damages. “Insofar as the complaint sought to compel the insurer to arbitrate the plaintiff’s entitlement to uninsured motorist benefits, it should not have been dismissed. Although the representations in the insurer’s motion and accompanying memorandum, if substantiated, may well establish that it has a valid coverage defense to the payment of such benefits,a motion to dismiss must be decided based on the allegations of the complaint. On the face of the complaint, it cannot be determined, as matter of law, that the insurer is excused from liability under its policy. Regis v. Progressive Insurance Company (4 pages) (Appeals Court – Unpublished) (No. 14-P-1848) (Oct. 16, 2015). Where a plaintiff who obtained a $1.24 million arbitration award against a defendant has moved to dismiss the defendant’s counterclaim seeking to vacate or modify the award, the dismissal request should be denied without prejudice despite the defendant’s error in failing to properly title the counterclaim as a motion. “In substance, respondents’ filing meets the requirements to constitute a motion. … The filing is 19 pages long and includes both the factual and legal bases for respondents’ request that the award be vacated or modified. Accordingly, the Court will treat the counterclaim as a motion to vacate or modify the arbitration award. “A Rule 12(b)(6) motion to dismiss is not the proper mechanism for contesting a motion to vacate or modify an arbitration award. … Therefore, to the extent that [plaintiff Cindy-Marie] Rogers’s motion to dismiss respondents’ counterclaim attacks the merits of the ‘counterclaim,’ it is itself procedurally improper and will be denied without prejudice. Rogers v. Ausdal Financial Partners, Inc., et al. (4 pages) (Saylor, J.) (USDC) (Civil Action No. 15-12899-FDS) (Oct. 14, 2015). by Brian R. Jerome, Esq. Whether parties are negotiating directly with each other or with the assistance of a mediator, a basic axiom is that a case will not settle until the parties are discussing terms within a reasonable settlement range. When negotiations reach a critical impasse, the possibility of settlement steadily decreases as the time without demonstrable progress continues to pass. This is particularly true in situations where the demand (or offer) made may be deemed unreasonable by the other side, resulting in an equally unreasonable counter proposal. When parties reach impasse, they begin to abandon hope. In such situations, breaking impasse is perhaps the most essential achievement a mediator can make; finding common ground keeps the interest and attitude of the parties focused on resolution and promises a better likelihood of settlement as an incentive to continue negotiating. Bracketing, one of the many specialized tools in a skilled mediator’s arsenal, can be a helpful tool to jump-start the process and break an impasse in settlement discussions. Bracketing can make bridging the divide seem possible again, and encourages the parties to continue negotiating. For example, consider the case where the parties come to mediation and the plaintiff makes an initial settlement demand of $850,000. The defendant, though having significant more settlement authority and/or willingness to move upward, may deem this demand unreasonably high and choose to make an in-kind, unreasonably low settlement offer of $50,000. Hearing this, the plaintiff is immediately upset and frustrated: “Why did we come to this table? I have a lien three times that amount to satisfy!” The plaintiff may then elect not to move, or move minimally, perhaps to $825,000. Continuing this water torture approach to negotiation or mediation can result in significant frustration, and often emboldens further posturing – none of which lend to the collaboration and momentum parties need and a mediator seeks to resolve a case. A skilled mediator by this point has likely gone well beyond an initial joint session with the parties and has been engaged in private caucuses with both sides. S/he has begun to develop a sense of the needs and interests of both sides and by doing so, over time, likely begins to envision a range or window through which it is likely that both sides need to enter into for more fruitful discussions to begin. In some cases, a party may elect to confidentially divulge to their mediator, hypothetical lesser amounts or ranges that they may be willing to consider. Being careful not to disclose these confidences, nor to prematurely provide their own evaluation which could prove counterproductive, an experienced mediator might suggest and begin to sculpt a process of bracketing that could revive the negotiation process, provide some optimism for the participants, and return some momentum to the session. During private caucus, when the mediator makes a request to more significantly increase their offer, this defendant may indicate that if they were to raise their offer to $200,000 or $250,000 – which they might be willing to do at some point – they feel the plaintiff is likely to only reduce their demand by another $50,000 or so. The defendant doesn’t want to be left in that negotiation position. A mediator may ask where the plaintiff would need to be for the defendant to offer $250,000. If they indicate $650,000, the mediator might ask for the defendant’s authority to propose these numbers as brackets, coming from the defense. A mediator may inquire to a defendant who may be reluctant to disclose their own parameters, whether if the plaintiff was willing to reduce their demand to $650,000, would the defendant be willing to offer $250,000? The mediator might stress to the defendant that should these brackets be found unacceptable by the plaintiffs, they often either result in a demand or a counter bracketing proposal that nevertheless will be more productive than making a single low offer. Further, it could be suggested that if the plaintiff found this bracketing proposal unacceptable, the defendant could return to making a single offer at a level of his choice. Though a bracketing proposal may often signal, or be perceived to signal, a willingness to reach the middle of these brackets, it does not necessary mean this. Although such flexibility may be one of its advantages, as long as each party can settle this case at a number within these parameters, they may be inclined to assent to the bracket so as to take advantage of the momentum created by it. After a bracketing proposal has been agreed to by both sides, the parties can return to negotiating by single offers or demands, or, can consider further bracketing to narrow their differences and reach a reasonable range of settlement. Consider the use of bracketing to break an impasse in your direct negotiations with the other party – or better yet – have a capable mediator with knowledge and experience in this process help you sculpt your negotiations more effectively. Remember that the numbers need to be a realistic reflection of the risks and realities of the case, and to give the other side time to gradually accept that their hoped-for, pre-mediation position may not be achieved. Your mediator can assign rational reasons to the relative bargaining positions of the parties, and with his/her guidance, you can greatly enhance the prospects of resolving your more difficult cases. The process of mediation can be less formal than a courtroom, but its more relaxed setting does not lessen the importance of preparation and appropriate advocacy to achieve favorable results. Advocacy permeates this process well before the parties enter the mediator’s conference rooms. Attention to detail early on maximizes the prospects of having satisfied clients who feel their cases have been handled well. These ‘Commandments’ of Mediation Advocacy will help you achieveth the greatest success! Generally, the best chance to get a case settled may be when it is mediated early. Time and money is saved, and early mediation brings people to the table while the parties may be more flexible and willing to hear strengths and weaknesses in their cases rather than after their positions have solidified and after considerable litigation expenses are incurred. However, investigation and case preparation has to reach a point where the case can be properly evaluated. There can be reasons why an early mediation may meet the parties needs, including varied situations where parties cannot afford or withstand the time, expense, stress, or uncertainty of protracted litigation and/or trial, where extensive discovery may serve to undermine a parties’ position, or where the parties are either required or desire to continue an ongoing relationship. A skilled attorney or advocate should consider and fully examine these considerations with their clients early on, since dispute resolution opportunities may be lost after months or years of contentious litigation. No two mediators are alike; careful consideration should be given to their selection. The mediator’s personality, experience, style, and skills should fit the particulars of the case so as to best enable the building of trust and respect among participants, maximizing the prospects of a satisfactory settlement. While neutrality, patience, perseverance, specific training, and substantive experience are some of the most important traits to look for in a mediator, other subtle factors come into play. Will the mediator’s personality fit with the parties well enough to earn their trust? Does the client need a gentle hand, a forceful push, or perhaps both? Can the particular mediator bring improvement to the discord created by litigation, and further, aid in the negotiation of a deal? How many cases of the type involved in your matter has the mediator handled, and with what success? Consultation with colleagues who have worked with a potential mediator should be considered. Unlike the context of an arbitration, where ex parte communications are inappropriate, nothing prevents you from calling a potential mediator about your case. In fact, asking questions about the mediators experience and inquiring as to how the session would be conducted is time well spent by a strategic advocate who wants a satisfied client. Determine in advance who is coming from the other side. Be sure that the individuals(s) with full settlement authority are going to be physically present at the session. Whenever possible, determine the backgrounds, personality, and style of all participants by using sources available on public media or consultation with colleagues; this preparation will greatly assist your collaboration with them, and improve your ability to convince them of the merits of your case, much akin to jury research in a courtroom setting. Preparing the client includes determining their interests, needs, motivations, concerns, and objectives; hopefully dispelling any unreasonable or unrealistic expectations they may have as well. A range of possible outcomes at trial ought be discussed. It’s also important to examine and understand the client’s tolerance for risk. Be sure to explain to clients that they will be active participants in the mediation session and that most mediators will encourage them to speak at the session so as to hear directly from them what is most important. A client who speaks well for their position may wish to participate actively in the joint opening session with a carefully planned presentation. Having the client make a brief presentation in the right setting is very effective, but with the wrong client it could have disastrous consequences. Discuss with your client what information they should reveal, and be sure they understand which matters should not be shared. Clearly determine ahead of time how they will participate and what they intend to say. Share with your client all available information about the mediator, their style, and how they conduct the mediation session. The differences between a trial and a mediation should be discussed so they know what to expect. The joint opening session and opening statements should be reviewed. The private nature of the individual caucuses the mediator will have with each party should be explained. Provide your client with specific guidance as to what they will or will not say during these private caucuses. The confidentiality of the mediation process, both as outlined in the mediation agreement and under the provisions of the Massachusetts confidentiality statute, MGL c. 233 s.23C, should be explained to the client. In cases involving parties such as businesses or corporations, consideration should be given as to who, among persons with authority, should attend the mediation. Will the personality and demeanor of an individual detract from collaboration efforts? Is there a personal animus that is likely to have a negative effect? When issues of personality or emotion are apparent or anticipated, advise the mediator in advance. Plan to discuss all legal aspects of the case and be familiar with not only your client’s needs, but the other sides’ interest and goals as well. Strategize possible solutions to meet their needs as well as your own. Be prepared to highlight and explain the strengths and weaknesses of your case, and anticipate the arguments the opposing party is likely to make and the questions a mediator may ask. A client or lawyer that can convince the mediator that he has considered all important facets of the case is more likely to convince a mediator that their position is serious and reasoned as opposed to mere posturing. Research jury verdicts and applicable case law, and be prepared to distinguish facts or legal issues in verdicts or legal decisions the other side may use to support its position, in addition to the ones that support yours. Bring copies of any pertinent cases with you to the mediation session. Provide a mediation memorandum in advance to your mediator. The mediation statement is the first opportunity to gain credibility and support with the mediator, so invest appropriate time crafting a compelling theme or story. Be concise and set forth the background facts, legal theories, and defenses for the case. Give the mediator the pertinent settlement history and the present demands and offers. Make an informed decision whether to send the mediation memorandum to all of the parties or to send it confidentially only to the mediator. Certain sensitive issues may not be best raised in an exchanged brief, since it may polarize the parties and intensify animosity or resentments. You may choose to share it in a confidential memorandum only to the mediator. Private and confidential “eyes only” communications work best when used to discuss a party’s underlying needs and interests rather than positions. Your positions are best laid out in your public, shared submissions. Providing this information in advance of the session allows your mediator appropriate preparation time, and ultimately brings benefit to your case. The private submission is an opportunity to tell the mediator how s/he can best help you, raising sensitive problems that you or the other side may have, suggestions to overcome these obstacles, and discussion of other intangible issues beyond monetary components. Providing such information to the mediator in advance of the mediation session, affords them opportunity to begin consideration of mediation processes which fit the particular needs and interests of the parties. The prepared mediator is then able to more immediately focus in on the issues during the session, as well as to air the more difficult, associated questions. Consider attaching concise demonstrative evidence that may assist you in explaining your perspective, such as photographs (a picture is worth 1000 words), portions of deposition transcripts, medical records, or expert testimony. Highlight these exhibits and don’t make the mediator or opposing counsel pore over pages reading every word to figure out which sentence(s) in a lengthy document is the one you’re relying on. Information you attach to a mediation memorandum should be tabbed or marked for easy reference, and should be readily accessible at the mediation session so that you can avoid fumbling while searching for documents or not have the information you need at hand. Encourage the other side to provide a copy to their client. If you have a concern that the party on the other side of the case might not be given a copy of your summary to read, prepare two copies. Serve both on opposing counsel and explain that one copy is a courtesy for their client. Bring extra copies to mediation to provide one to the other side. If it was not shared before, you can be sure it will be read during caucus. There are mixed opinions of late as to whether and to what extent an opening statement should be made at mediation. Certainly the risk of alienating the other party by making offensive or inflammatory opening comments is often stated by many attorneys, parties, and by many mediators as reason to avoid or limit an opening statement. Trial lawyers, who are accustomed to speaking with and negotiating only with opposing lawyers, have the opportunity at a mediation to make a pitch directly to the principles on the other side. The tone of the opening presentation should then strike a balance between interest in settlement and readiness to litigate. It is not helpful to be offensive or unnecessarily aggressive, but best to utilize the opportunity to make your legal arguments and to persuade decision-makers of the merits of the case and the risk of litigation if settlement is not achieved. You want the mediator, opposing counsel, any insurance carrier, and the decision-makers to know that you are organized, well prepared, knowledgeable, and can effectively tell a compelling story to a third-party decision-maker whether it be a judge, arbitrator, or jury. Present your case in a way that is reasonable and palatable to the other side. Do not assume that the other side has read what you’ve filed in the case or even the mediation brief. Mark Twain once said, “I spent a week preparing for an impromptu speech”. While a week is unneeded, an opening statement should not be off-the-cuff, but rather, strategically thought out and prepared. It is in private caucus that the parties and the mediator roll up their sleeves and where the hardest work of the mediation session takes place. It is also where the mediator will ask his toughest questions, focusing the parties on the key issues in dispute. A skilled advocate should anticipate what these questions will be and be prepared to answer them and/or have the client prepared for them, as well as having a plan of who will say what. Separating opposing parties allows more open communication between the party in caucus and their mediator, helping the mediator understand the party’s point of view better. Without the presence of the opposing party, the client is hopefully less tense, angry, and defensive, and more flexible and creative. Clients who know that their private discussions with the mediator are confidential tend to speak more openly about their case and personal interests, providing information about their underlying interests and assumptions as well as suggesting new ideas for solutions. It is often during these private caucuses where a party has the opportunity to vent or tell their story so they feel they’ve had their “day in court”. Prepare your client to share their thoughts and feelings in a reasonable manner. In addition, if a client has unrealistic expectations, the mediator will be able to directly address this in private caucus, diplomatically reality testing their assumptions. If the advocate believes that the proposed settlement meets all of the needs of the client and that at trial a better outcome is unlikely, the mediator may be a useful ally in convincing the client to settle. Parties and their counsel should understand and appreciate the importance of embodying agreements reached at a mediation session being articulated in a detailed and signed document. All material terms of the agreement should be included in this Mediation Settlement Agreement so as to make it an enforceable contract. Parties and counsel should anticipate early on, any and all potential issues that may arise when formalizing and embodying the material terms of the agreement in a Mediation Settlement Agreement and/or, should it be followed by a further release, all anticipated and needed terms of the release. Waiting until the end of a mediation session to raise and discuss material terms required in both the Mediation Settlement Agreement and the release can result in disintegration of the anticipated deal. Consider bringing a release with you that could be executed at the end of the mediation session, or at least shown to the other parties when discussing specific terms required in the final release. A skilled and experienced mediator will likely anticipate the issues that must be agreed upon before final settlement can be reached, but don’t rely on the mediator for this; raise these issues during the mediation at an earlier time and in an appropriate manner, such as in private caucus first, to help you avoid common pitfalls at the end of the session that could jeopardize settlement. Taking the steps suggested in these ‘Commandments’ at the beginning, middle, and end of a well-crafted mediation process will significantly increase your chances of obtaining a favorable result and most importantly, a satisfied client. Use an Honorable Engagement provision to make the “steep uphill climb” toward arbitral vacatur improbable. In May, the First Circuit of the United States Court of Appeals issued a decision of interest to arbitration practioners. Of exceptional interest is the court’s recognition that when arbitration agreements contain an Honorable Engagement provision “… the prospects for successful arbitration are measurably enhanced…”. First State Insurance Co. and New England Reinsurance Corporation v. National Casualty Co., 781 F.3d 7 (1st Cir. 2015) 1 (First State) described and confirmed, in a clear and plain manner, two concepts of arbitration: (1) the unlikelihood of having arbitration awards vacated and (2) the value of an “ honorable engagement” provision in arbitration agreements. In First State, the arbitration Panel’s award arose out of a dispute involving eight reinsurance agreements. The Panel’s interpretation of the agreements was the basis for its award. The award included the establishment of a payment protocol and a reservation of rights procedure. The appellant, National Casualty Company, contended that the interpretation that led to the payment protocol exceeded the Panel’s authority and that the reservations of rights procedure “…[did] not draw its essence from the underlying agreements.” Id. P. 10. “A party that implores a court to vacate an arbitration award normally faces a steep uphill climb: the scope of judicial review of arbitration awards is ‘among the narrowest known in the law’.” Me. Cent. R.R. Co. v. Bhd. of Maint. of Way Emps., 873 F.2d 425, 428 (1st Cir. 1989).” First State Insurance Company, 781 F.3d at 9. “… A federal court’s authority to defenestrate an arbitration award is extremely limited. … A legal error (even a serious one) in contract interpretation is, in and of itself, not a sufficient reason for a federal court to undo an arbitration award. … Only if the arbitrators acted so far outside the bounds of their authority that they can be said to have dispensed their own brand of industrial justice will a court vacate the award. … Put another way, as long as an arbitration award draw[s] ‘its essence’ from the underlying agreement, it will withstand judicial review — and it does not matter how ‘good, bad, or ugly’ the match between the contract and the terms of the award may be.” (Internal quotation marks and citations omitted.). First State Insurance Company, 781 F.3d at 11. Massachusetts case law provides a similar “steep uphill climb”: “… on review of an arbitrator’s decision, we do not review the arbitrator’s findings of fact or conclusions of law for error… . Judicial review of an arbitration award is narrowly confined… . [A] court is bound by the arbitrator’s findings and rulings ‘even if they appear erroneous, inconsistent, or unsupported by the record at the arbitration hearing’. ” (Internal quotation marks and citations omitted.) American Fed’n of State, County, & Mun. Employees, Council 93, AFL-CIO v. School Dep’t of Burlington, 462 Mass. 1009,1010 (2012) Rescript affirming: American Fed’n of State, County, & Mun. Employees, Council 93, AFL-CIO v. School Dep’t of Burlington, 78 Mass. App. Ct. 511, (2011). The First State Panel does not set new law; rather, it boldly reiterates what seasoned arbitral attorneys know about overturning an award, from step one, it is a “steep uphill climb”. For Massachusetts practitioners, arbitration law generally flows from two sources, U.S. Code, Title 9 – Arbitration, The Federal Arbitration Act (FAA) and M.G.L. Ch. 251 – The Uniform Arbitration Act for Commercial Disputes, The Massachusetts Arbitration Act (MAA). “In all relevant respects, the language of the FAA and the MAA providing for enforcement of arbitration provisions are similar, and…[our Supreme Judicial Court] has interpreted the cognate provisions in the same manner.” Warfield v. Beth Israel Deaconess Medical Center, Inc., 454 Mass. 390,394 (2009). The FAA, at Section 10, lists four reasons for vacating an arbitral award. The MAA’s Section 12, lists five. The value of an Honorable Engagement provision. What power does an honorable engagement provision give to arbitrators? “…[A]n honorable engagement provision empowers arbitrators to grant forms of relief, such as equitable remedies, not following the strict rules of law.’ ” First State Insurance Company, 781 F.3d at 12. Until this case the First Circuit had “…not had occasion to address the operation and effect of an honorable engagement provision in an arbitration clause.” First State Insurance Company, 781 F.3d at 12. The arbitration section in each of the subject reinsurance agreements contained an honorable engagement provision. That provision “… directs the arbitrators to consider each agreement as an honorable engagement rather than merely a legal obligation and [it] goes on to explain that the arbitrators are relieved of all judicial formalities and may abstain from following the strict rules of law.” (Internal quotation marks omitted.) First State Insurance Company, 781 F.3d at 12. The Panel spoke plainly on the value of such a provision. “This is a huge advantage: the prospects for successful arbitration are measurably enhanced if the arbitrators have flexibility to custom-tailor remedies to fit particular circumstances. … An honorable engagement provision ensures that flexibility.” First State Insurance Company, 781 F.3d at 12. As to the Appellant’s contention that the arbitrators’ payment protocol was not derived from the subject Agreements, the Panel, in effect, said that while Appellant’s contention may be sound in contract law it is not relevant, because, “… the honorable engagement provisions in the arbitration clauses of the underlying agreements authorized the arbitrators to grant equitable remedies”. First State Insurance Company, 781 F.3d at 12. If parties negotiating an arbitration agreement want to measurably reduce the chance of a future award being vacated they should craft into their arbitration agreement an honorable engagement provision and thereby make the “steep uphill climb” toward vacatur remotely improbable to reach. 1 The Panel that heard this case included Hon. David H. Souter, Associate Justice (Ret.) of the Supreme Court of the United States. Avoiding Mediation Hazards, and getting to YES! The expectations of the parties and their counsel or insurer coming into a mediation session play an important role in how successful the mediation process will be. Some cases come to mediation on the eve of or even after a trial, while others arrive before suit is filed or perhaps even before the parties have consulted with counsel about their dispute. In some cases, little-to-no negotiation has taken place. In others, extensive negotiations have taken place and have reached an impasse with specific parameters, or offers or demands being recognized and defined. When to go to mediation is important for both the parties and their counsel to consider. How can the expectations of the participants impact the mediation process and the overall prospects of success, at both the essential initial stages as well as at its conclusion? And how can parties, counsel, and the mediator all take steps to avoid the pitfalls of misunderstood or unfounded pre-mediation expectations of the other side? In this article we’ll review some real-life examples of expectation pitfalls, consider what the impact to the mediation could be, and offer ideas on how to avoid the hazards which can negatively impact your chances of settling. – a case where mediation has been suggested and deemed beneficial by the parties, where the plaintiff indicates they will not attend without a formal offer, perhaps of a minimum amount, or where the defendant will come only if the plaintiff lowers their demand to a certain number. “We only came to the table when we were told a certain number or range would likely settle this case, and now they are starting with an unrealistic demand. We are finished here.”. Parties, counsel, insurers, and mediators need to know how to avoid the hazards in the examples above. – The parties and/or their counsel should communicate clearly with the other side their reasonable expectations of one another before coming to a mediation session, or in many cases, before agreeing to the mediation process, to avoid surprises or unfounded expectations. – Carefully consider the downsides of changing previously expressed settlement demands or offers on the day of the mediation. If such revisions are merited or sought, consider advising the other side well in advance of the mediation session, and provide rationale for such changes so the opposing side has the opportunity to digest and review the proposition and are not surprised at the mediation. – As best possible, reach an understanding of what the starting demand and offer will be at the mediation session to avoid surprises. Agree on what effect “off-the-record” conversations will play, if at all, at the mediation session. – Consider having a pre-mediation conference with the mediator should some of these issues arise so the mediator might assist you in sculpting an agreed-upon mediation process to best fit the needs and expectations of all participants. – Many cases that settle have come to mediation without pre-mediation settlement demands or offers having been made. However, parties and their counsel or insurers may well consider whether and to what extent pre-mediation negotiations, offers, demands, or other parameters may be needed in a particular case to increase the likelihood that a mediation session will be most productive and successful. – In certain cases, the parties may need to set parameters or expectations before coming to mediation. Recognize that pre-mediation conferences or telephone calls to negotiate parameters and/or expectations before the formal mediation session begins, can mean the difference between settlement or trial. The good news is that experienced mediators have the skills to deal successfully with all of the issues, pitfalls, and avoidable frustrations noted above. Being informed of issues in advance, an experienced mediator can arrange for pre-mediation conferences so that false expectations won’t torpedo the session ahead. Even if these issues rear their heads only when the session begins, a seasoned mediator will use his skills to help the parties navigate these choppy waters, and steer everyone’s attention to the merits, strengths, and weaknesses of the case, the true needs and interests of the parties, and the benefits of a negotiated resolution. Avoid the prolonged time, expense, frustration, and uncertainty of further litigation and trial and come to the table with founded expectations….there’s a very high likelihood you will get to YES. It’s 6 PM after a long mediation and all the participants are cranky and tired…but an agreement on a monetary amount has been reached! The moment the parties heard “yes”, they began packing up their files, but the mediator insists that they stay long enough for him or her to prepare a mediation settlement agreement. The responses are varied but sound like this: “Jim and I can work out the release details later this week”, or, “A handshake has always been good enough for me”. A good mediator, however, wears suspenders and a belt for the parties and does not want their hard work (or his or hers) to be lost because fifteen more minutes of attention are needed. Don’t leave now, because all of your efforts could unravel unless a written mediation settlement agreement, containing all the necessary terms of the agreement, is signed by all needed parties. This agreement need not be long and most often, the settlement agreement contemplates that a further more detailed release will be signed by theparties. I can’t stress enough that it is the best practice – and in the best interests of you and your client – to contemplate and deal with all potential issues that may arise in agreeing on the terms and specific wording of this more formal release, since the devil, as they say, is in the details. Remember: a mediation settlement agreement in and of itself is a binding, enforceable contract as long as it contains all the material terms of the agreement, even without a later, more detailed release being executed. Let’s take, for example, a personal injury case where Bill Smith, now 68 years old, was injured four years ago while working in the course of his employment, suffering serious and allegedly permanent injuries at on off-site location. There is an issue as to whether all of his injuries were causally related to this accident as opposed to pre-existing conditions he suffered from. His workers compensation case was lump-summed, and reflected contested issues of medical causation. Some of Bill’s initial medical bills were paid by workers’ compensation, while other contested medical bills were paid by his personal health insurer. He turned 65 after the injury and now qualifies for Medicare, who has paid some of his more recent bills. The case is in suit against multiple high profile defendants who don’t want furtherpublicity, and multiple insurers are involved. Though none of the insurers had been named as defendants, Bill’s lawyer had sent MGL c. 93A and 176D demand letters to some of the insurers. Bill will need future medical care or perhaps rehab or nursing home care that may well involve further Medicare and/or Medicaid payments. * The mediator may be told that the defendants need a strict confidentiality clause and a non disparagement clause in the release applying to Bill, his wife, and his attorney, and to the benefit of all defendants and their insurers, and a liquidated damages clause in the event of breach. Bill’s attorney may say, “I don’t agree to confidentiality clauses, period…”, “This issue was never raised or negotiated”, “If you need that clause, you’ll need to pay us $50,000 more”, ” I intended to put this case in Lawyer’s Weekly or the Boston Globe”, “What specific language are you looking for?”, or, “I can’t agree to that, haven’t you read the Dennis Rodman case?” (Amos v. Commissioner, T.C. Memo. Docket No. 13391-01, 2003-329, December 1, 2003 Tax Court rules that portion of personal injury settlement attributable to secure a confidentiality clause is taxable). * The mediator may be told that the defendants need a defense and hold harmless agreement as to any and all claims brought by anyone arising out of this litigation. The plaintiff may be unwilling to agree, defend, or indemnify the defendants against claims brought by others outside of their control. * The mediator may be told that the workers compensation lien holder won’t agree to a reasonable compromise, and Bill’s lawyer needs to file a Curry motion with the Court to have a judge decide the lien amount. * The defendants may say, “We want Bill and his wife, individually, to sign the release, and because Bill’s late-in-life son is a minor, we need a minor’s settlement approval by the Court.” Bill’s lawyer may respond that, “These requests were never raised during our mediation”, “They are not parties to this lawsuit”, “If you want these other releases you need to increase the settlement”, or, “I’m not going to court for approval of a $1.00 payment to Bill’s son”. * Defense counsel may say, “The release must discharge all claims against all insurers for claims of violation of MGL. 93A or 176D claims”. Bill’s attorney may respond, “No suit was brought on these claims”, “Defense counsel does not represent these insurers”, or, “We never negotiated settlement of these claims, so you need to increase the settlement amount to discharge these claims”. – Anticipating that specific terms and language will be needed in a release, parties and/or their counsel may wish to bring a release with them that could be executed at the end of the mediation session and/or at least shown to the other parties when discussing specific terms required in the final release. A skilled and experienced mediator will likely anticipate the issues that will need to be agreed upon before final settlement can be reached, and will raise these issues during the mediation at an earlier time and in an appropriate manner, such as in private caucuses first, to help you avoid pitfalls at the end of the session that could jeopardize the overall settlement.